CSS assisted EPA Region 6 with training, document preparation and logistics for a three-day Knowledge Exchange (KE) and Tabletop Exercise (TT) that included El Paso, TX; Sunland Park, NM; Dona Ana County, NM; Juarez, Mexico; and the Ysleta del Sur Pueblo. The objective of the KE and TT was to bring local, state and federal agencies from the U.S. and Mexico together to discuss authorities, planning, resources and potential cleanup actions in response to an international event. The KE included two days of presentations by local, state and federal response agencies discussing pertinent contacts, authorities, guidance, available resources and equipment. The third day was a TT based on a train derailment scenario with a release of ammonia and hydrofluoric acid as well as fuel/oil into the Rio Grande River. 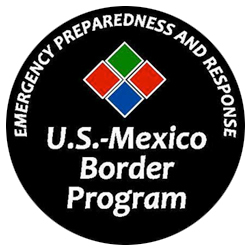 The TT focused on local/state notification; communications; activation of U.S. and Mexican local/state/federal resources; and setting up an Incident Command System (ICS) between the U.S. and Mexico. CSS coordinated translation services during the event to provide simultaneous Spanish/English translation for 60 participants. CSS also provided translation of presentation materials provided by the presenting agencies. During the event, CSS provided registration and meeting space liaison services and developed and presented "Chemicals of Concern (COC): Ammonia, Hydrofluoric Acid and Fuel/Oil" as part of the TT, and secured an expert for two presentations: "Overview of Incident Command System (ICS)/Unified Command (UC)" and "Overview of Oil Spill Response/Booming." Following the Homeland Security Exercise and Evaluation Program (HSEEP), CSS drafted an After Action Report for the event for EPA's review and finalization. Other post-event deliverables included final agenda, attendee sign-in sheets, meeting minutes and evaluation sheets and comments.